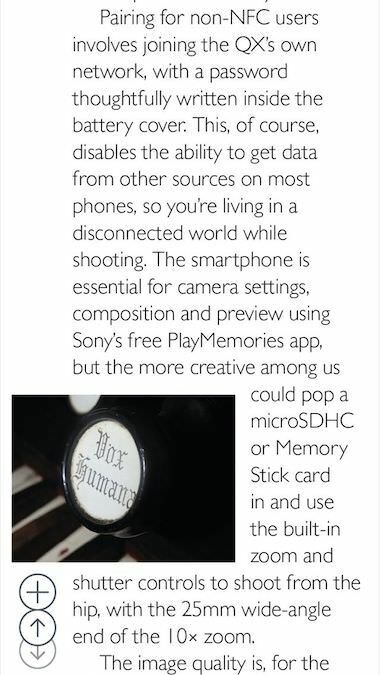 For the Digital and Film photographers that are fans of the Leica Camera, I mentioned earlier a specialty iPhone magazine of short articles and photo galleries, LFI (Leica Photo Magazine Comes To The iPhone). 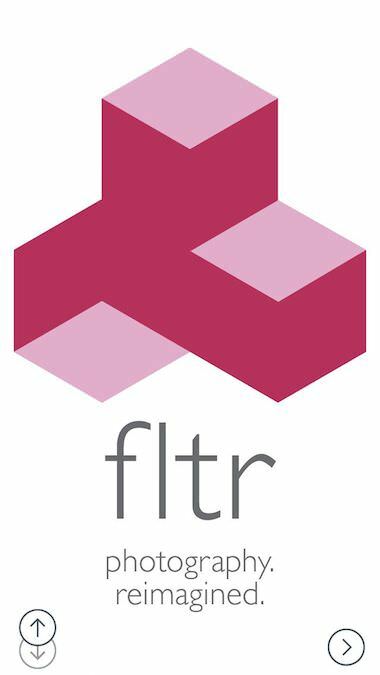 For the iPhone Camera user, there is now FLTR, a weekly publication. The second issue of FLTR came out today, and continued the same level of reporting so I thought it was time to share the find. 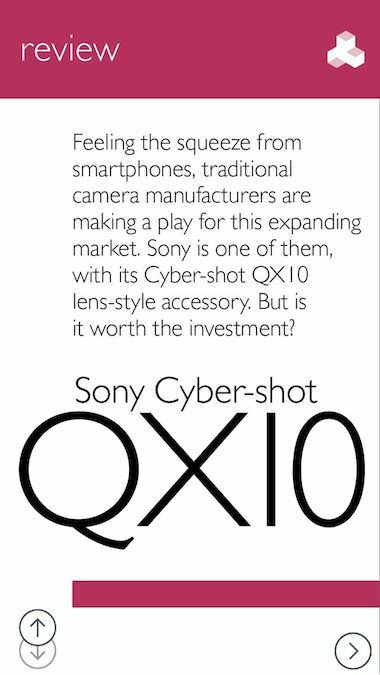 Like I mentioned above, it breaks from the normal iOS magazine by being a iPhone only publication, found in the Newsstand app. So, you won’t be getting another app icon outside of the Magazine area and you won’t be reading on the iPad. 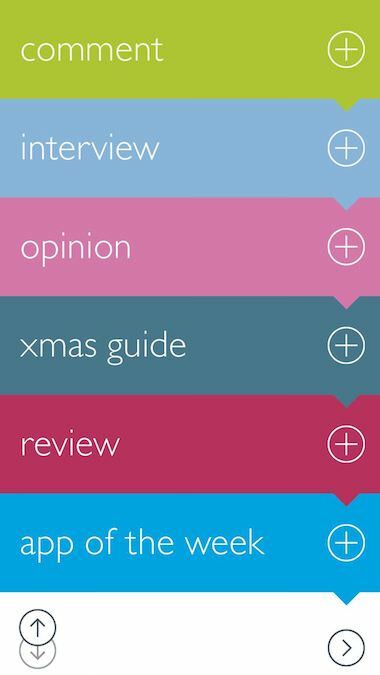 All of the ‘magazine’ features are available. 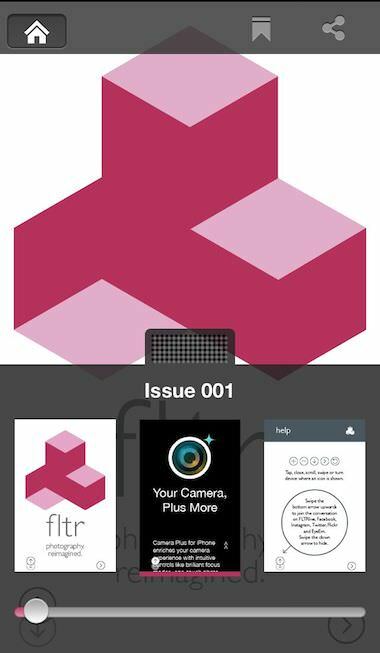 Within the FLTR ‘app’ is familiar iOS Magazine features, just on a different layout to fit the screen much smaller than that of the iPad. Each FLTR issue has a regular group of contents plus specialty content unique to the particular magazine. The Table of Contents below gives a quick overview of the contents and the ability to jump to the area with a tap. Articles are long enough to not just be a blog news article, yet short enough to get through quickly even on the smaller screen. 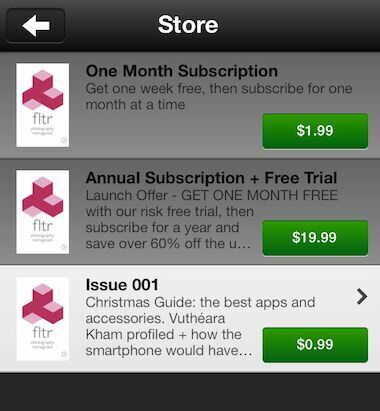 Navigation in FLTR on the iPhone is similar to most popular magazines on the iPad. 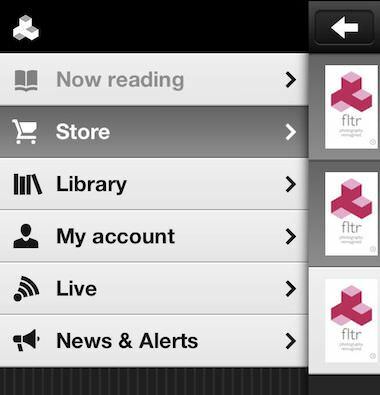 Along the top of the page is the ability to exit the magazine to the Library, bookmarking and share. 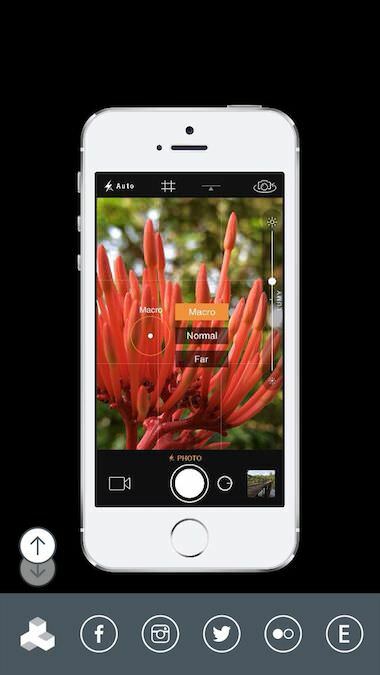 Dragging from the bottom of the screen will result in a thumbnail viewer for the issue allowing you to sweep through to a specific location, tap to expand and read. Going to any area listed on the Table of Contents, you will be presented with a cover page for the area or article. After the article cover page, the articles are on a single scrolling page. In the case of FLTR reviews of individuals, several pages can follow the article with single photo per page. All the content doesn’t come free. The weekly magazine has a variety of subscription models to choose from. Every page of FLTR has a double circle on the lower left that is used to pull up a row of share buttons, use, then return to hidden. A trade off of using the area for more content access given away to the app’s need for your promoting it. Other than that, the only issue I have seen so far is that when you exit a magazine, then return, your not returned to where you left off. The content is very nice, looking forward to week three!